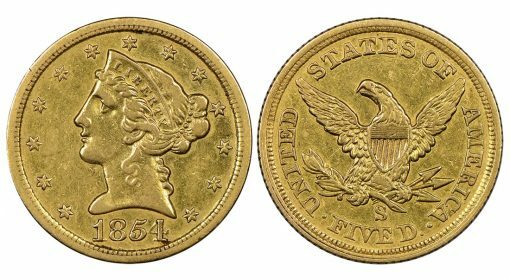 One of the world’s rarest coins, the fourth known genuine surviving 1854-S San Francisco Mint $5 gold piece — initially believed to be a fake — sold for $2,160,000 Thursday, Aug. 16, by Heritage Auctions in Philadelphia. 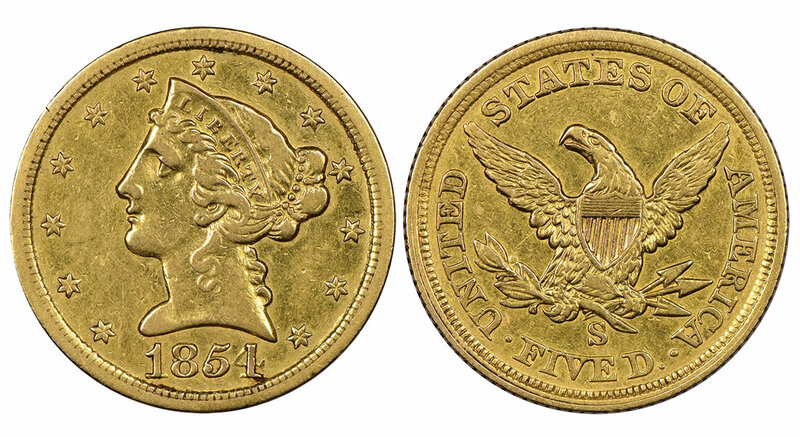 Described as “the discovery of a lifetime,” this 1854-S Half Eagle, graded NGC XF 45, realized $2.16 million. The seller and the new owner of the fourth coin both wish to remain anonymous at this time. 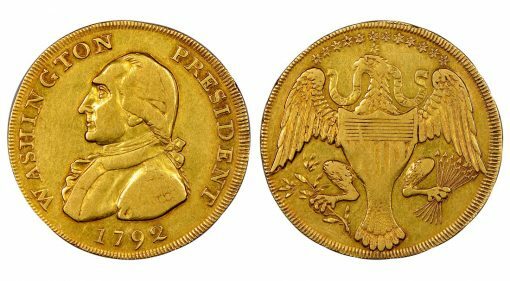 The seller discovered the coin and sought the opinion of collectors and dealers who claimed it must assuredly be fake because of the coin’s legendary rarity. Seeking a final answer, the discoverer submitted the 1854-S to the Numismatic Guaranty Corporation (NGC) for authentication. After verifying the coin was not the stolen duPont specimen, NGC enlisted the help of the Smithsonian Institution, which provided photographs of its coin. The firm determined coin was authentic and a new discovery.